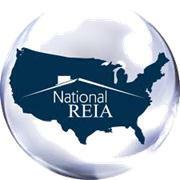 CFRI is proud to be a Chapter of the National REIA. Central Florida Realty Investors (CFRI) meets the needs of investors who are just starting out, and those who have completed hundreds of deals. As a non-profit organization, our sole purpose is to help you learn more, earn more, and have more fun doing it! We have two membership classifications: General Membership and Business Membership. General Membership is designed for the real estate investor is looking to learn more about the field and wants to increase their networking and educational opportunities. As an association who has served Central Florida for over 25 years, you can rest easy knowing that we’ll be here to support you every step of the way. At CFRI, you can enjoy substantial discounts on seminars, workshops, and conferences. With over 16 County and Focus Group meetings monthly, you’ll have plenty of opportunities to meet and network with others who are actively investing in real estate. Most of our long-time members will tell you that they met their partners and associates at a CFRI meeting! How could you not? Our meetings attract real estate brokers, mortgage professionals, attorneys, CPAs, title companies, inspectors, contractors, and other service providers that YOU need to keep your business running. Plus, you can stay up-to-date with the ever changing market at our local Groups, who focus on market trends and conditions in every aspect of investing. DEEPLY DISCOUNTED National REIA discounts, with industry partners such as Office Depot, Rent Perfect, Partner Ship, 1-800-GOTJUNK, Avis and more! GET CERTIFIED with the nationally recognized ‘Professional Housing Provider’ program, administered by National Real Estate Investors Association (National REIA). Great networking, quality education, incredible discounts and member benefits…what are you waiting for? Add-On Option: One or two additional household members for $50 each (Must be an immediate related family and/or domestic partner of the primary member; residing at the same address as the primary member. Proof of residency is required.) To fulfill this requirement, please email proof of same household address residency documentation to executive@cfri.net. ***Current Full-Time Active Duty Military (Air Force, Army, Marine Corps and Navy), Full-Time Firefighter, Full-Time Police Officer and Full-Time EMT Membership: $100 for one member (Only valid for one person.) Additional household members must pay for a separate Annual General Membership. To fulfill this requirement, please email proof of full time employment documentation to executive@cfri.net. **Note: Please contact CFRI at 407-328-7773 or executive@cfri.net for information on joining at this membership level. Once application and payment is submitted, proof of current Full-Time Active Duty Military (Air Force, Army, Marine Corps and Navy) Status and/or Full Time employment as a firefighter with a local Fire Department, a law enforcement officer with a local Police Department or an Emergency Medical Technician with a local organization is required. To fulfill this requirement, please email proof of full time employment documentation to executive@cfri.net. Business Membership is designed for our industry partners who are looking to offer their goods and services to a highly targeted and qualified audience of CFRI members and guests. Central Florida Realty Investors (CFRI) meets the needs of real estate and financial service related companies looking for opportunities to expand their reach. As a non-profit organization, our primary purpose is to create value by bringing General Members and Business Members together. *Note: For all benefits, your Business Membership must first be approved by the CFRI Board of Directors. Mandatory attendance at the New Business Member Orientation Meeting is required before approval will be granted. Includes: One associate from named company. Add-On Option: Add 1, 2 or 3 additional associates to the membership for $50 each. Note: There is a maximum of four associates per Business Membership.